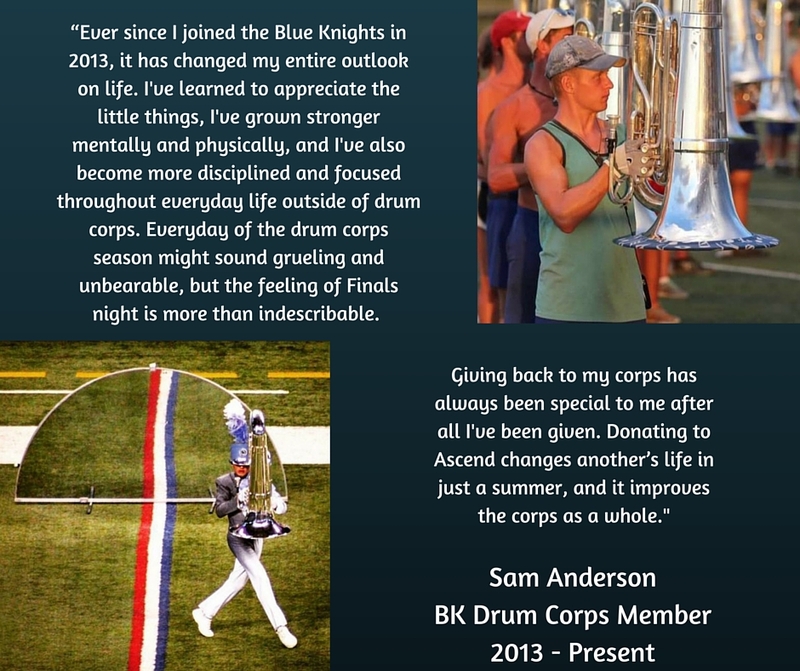 DENVER, CO – Do you have a story to share of how the Blue Knights Drum & Bugle Corps or the Blue Knights Percussion Ensemble made an impact on your life? Or maybe how attending a BKXperience Clinic gave you some insight on how to improve your skills? Or maybe how attending an Ascend Event such as the Drums Along the Rockies, Corps Encore or Friendship Cup was the highlight of your day as you watched amazing performances. We want your BK Story. We want to hear how an Ascend Performing Arts program has positively changed your life and why you choose give back or volunteer. Whether you are a current Blue Knights member, alumni, relative of a member, volunteer, a fan or supporter, we want your BK Story! Submit your story through the link below either through a write-in submission with a photo or make a video of your BK Story. We may feature your story on our website, social media or in our periodic Knightly News Brief email updates.